John Markoff from The New York Times has featured ASPIRE in his article “As Aging Population Grows, So Do Robotic Health Aides”. The University of Illinois roboticist recently received a $1.5 million grant from the National Science Foundation to explore the idea of designing small autonomous drones to perform simple household chores, like retrieving a bottle of medicine from another room. 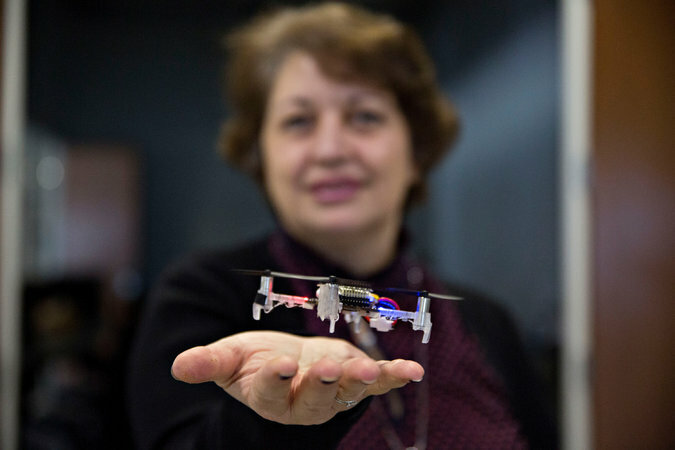 Dr. Hovakimyan acknowledged that the idea might seem off-putting to many, but she believes that drones will not only be safe, but will become an everyday fixture in elder care within a decade or two.